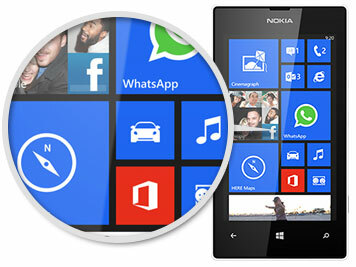 Experience premium Lumia features such as Windows 8, Live Tiles, Interactive HERE Maps, free unlimited Wi-Fi music streaming with Mix Radio, and Nokia's Smart Shoot camera technology. This amazing new addition to the Nokia Lumia range includes all the premium features you'd expect without the usual smartphone price tag. Customise your homescreen with the flexible and intuitive Live Tiles design, create great photos with a suite of camera effects and options, stream unlimited free music over Wi-Fi and create playlists with Nokia Music, and get around easier with the interactive HERE Map. Do it all on the Lumia 520's 4-inch super-sensitive screen, which you can control even while wearing gloves. 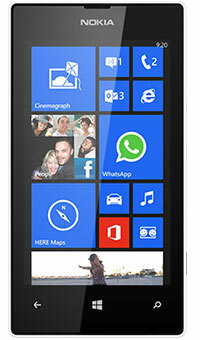 The Lumia 520 comes with the latest Windows Phone 8 software, which syncs seamlessly with your PC, laptop, and tablet. Bring your office with you and spread out your workload with Nokia's SkyDrive cloud storage. Start a document over breakfast, finish it on the train, and have it ready and waiting when you sit down at your office computer. 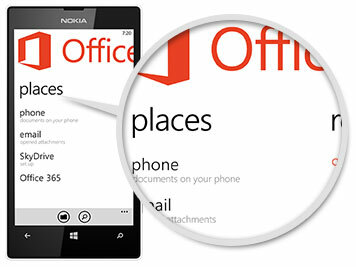 Leave your laptop at home and prepare a presentation on the go - this is working the Windows Phone 8 way. The Lumia 520 packs a five megapixel camera into its sleek design, while Nokia's customary quality lens and Smart Shoot technology ensures crisp, clear pictures with every click. Add motion to still images with the innovative Cinemagraph feature, and snap amazing panoramic views with a super wide-angle lens option. 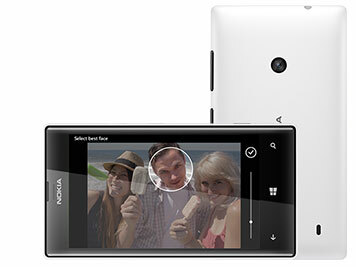 You'll be surprised by the quality, thanks to Nokia's customary lens design and attention to detail. Enjoy freedom with Vodafone Freedom Freebee. Get a selection of free UK texts, minutes and data for 30 days. If you're buying your first Freedom Freebee, we'll give you unlimited UK data for the whole 30 days it lasts. It'll help you find your feet and explore what you can do on your smartphone. Need more data or international minutes? Choose from our £5 extras to suit the way you use your phone. Just call 4354 from your Vodafone Pay as you go mobile to choose one.